Calendar summary page displays critical event information. Clicking on the event record opens the corresponding detailed page, if one existis. See next image as an example. Detail calendar page provides all the information about a particular event. 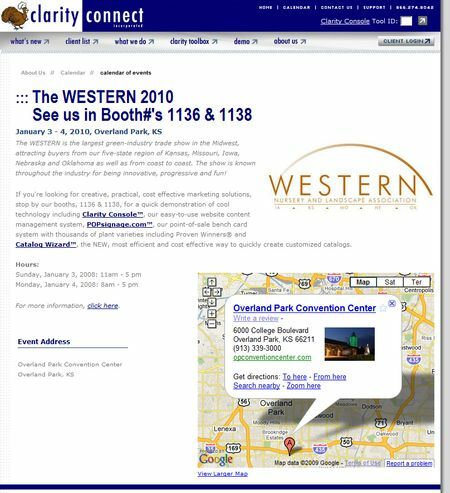 You can easily link the event to another web page on your site or an external site. 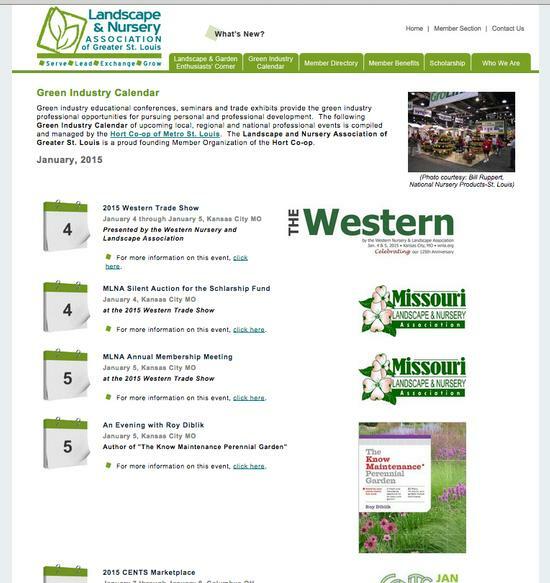 Add company and industry related events to your online calendar to improve customer communication. If an event has additional information, the user can click on "click here" and a new page opens containing in depth information including an image. Additionally, you can attach an optional PDF document that the user can download and print locally. Our calendar tool is "smart." 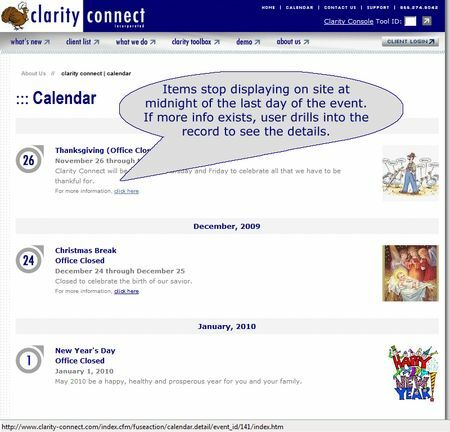 Once an event is past, it no longer displays on your site, although it is still available for modification in the Calendar of Events Editor. This feature ensures you won't have any old events on your site and makes it appear as if you're updating your site regularly.